It’s done! It’s done! The Ultimate Winter Scarf is done! And I think it’s pretty ultimate! Whew, that’s a relief. So, here it is, the pattern for the Three Color Linen Stitch Scarf. Some notes, or lessons learned, are below. I recommend a thumb or backwards loop cast on. I did a long tail cast on and it used up too much yarn, so I ran out of that color first and had to resort to cutting the remaining two balls at each end so I could keep working with them. It wasn’t necessarily a big deal, since the cut strands were incorporated into the fringe, but it would’ve been easier not to. I did a purl bind off on the right side of the scarf; I felt it matched the cast on edge better. I bound off with the next size larger needle i.e. U.S. 15 10mm, because I am notorious for binding off too tight and the thought of tinking 310 bound off stitches of ‘grabby’ yarn, made me a little sick to my stomach. The trade off, however, is that I feel my bind off stitches are a little too obvious. Oh, well, I’ll live with it. You know your knitting tendencies, so bind off the best way for you. I did not recommend it in the finished pattern. Some of you might notice, the finished length and the gauge I included in the pattern doesn’t match what I was aiming for or the gauge my swatch produced. Yep, once again the knitting whimsies were out and about messing with my gauge swatch. So be warned! The stitch pattern I used doesn’t look identical on the back, however the reverse reminds me a lot of seed stitch, and I think it looks pretty cool, so I would say it’s reversible, regardless! Reverse side: Reminds me of seed stitch & is very cool! For more information about the yarn used, check out my yarn review. So what do you think? Does it fit the bill? I LOVE the linen stitch. It makes such a great fabric – smooth and flat – and is very good with varigateds because it breaks up color pooling. It was my first time with linen stitch, but I agree, it is awesome! I love the linen stitch, it creates such a sturdy fabric. The yarn that you used in this scarf gives it so much character and warmth. Brilliant job! 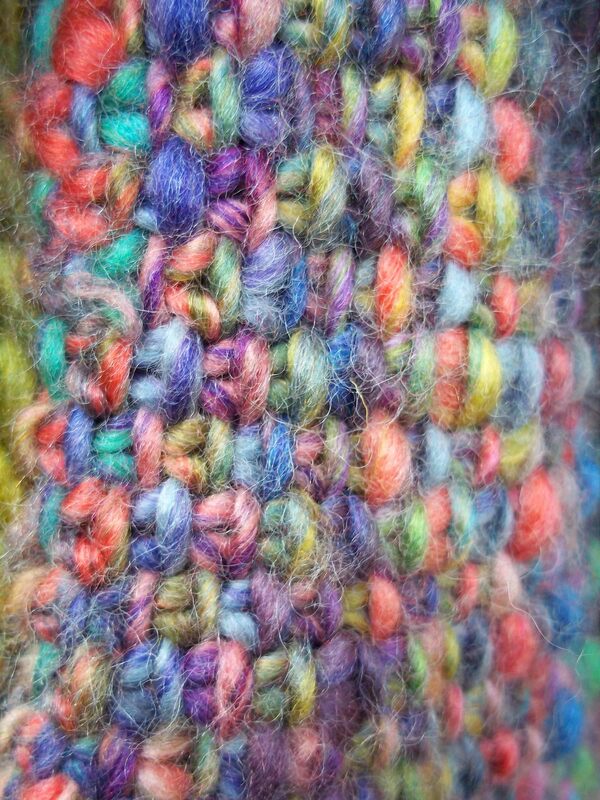 Lovely scarf, good mixture of colour and stitch pattern! Awesome! Your scarf is gorgeous. Well done! Your scarf looks great. 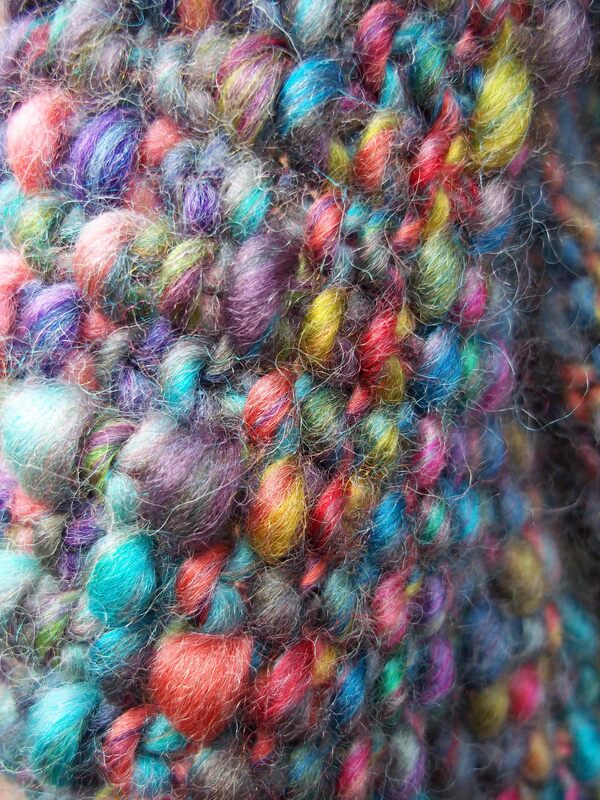 I love linen stitch, especially for how it blends the colors for an almost woven effect. Great job. This is a gorgeous, gorgeous scarf! Thank you for the pattern and helpful tips.